“I hear from entrepreneurs all the time, ‘If get through these few months of work I'm going to get to the gym, then eat good.’ And I’m like, no if you were eating well, going to the gym your work would be half of it, because you would be so much clearer,” says Steiner. One of the best ways to achieve greatness is to learn from people who have pursued their dreams and succeeded against all odds. But for those of us who are self-made — sometimes, we try so hard to prove ourselves — we lose sight of what really matters: our authentic self. We race to the top, ignoring the journey along the way, sacrificing relationships, happiness — even our health. Growth happens while you’re climbing the ladder — not while you’re sitting at the top. My show Inspired with Nicole Sawyer takes you inside the minds and hearts of the most respected visionaries. Behind every success is a journey inspired by the human spirit. 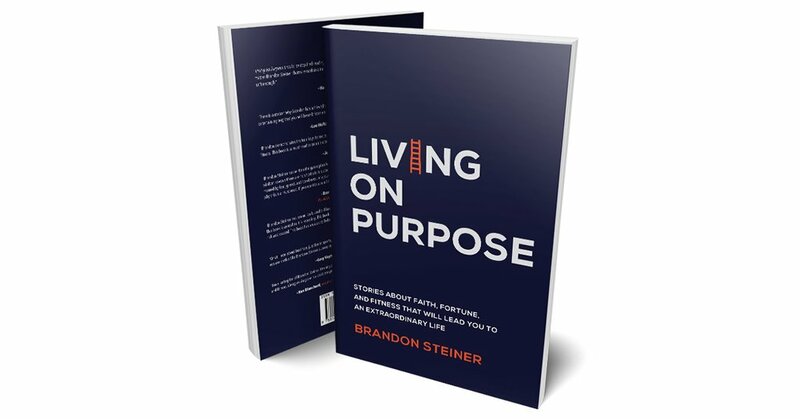 CLICK HERE: To watch Brandon Steiner reveal how to be resilient through times of resistance and what it means to truly live a purposeful life. 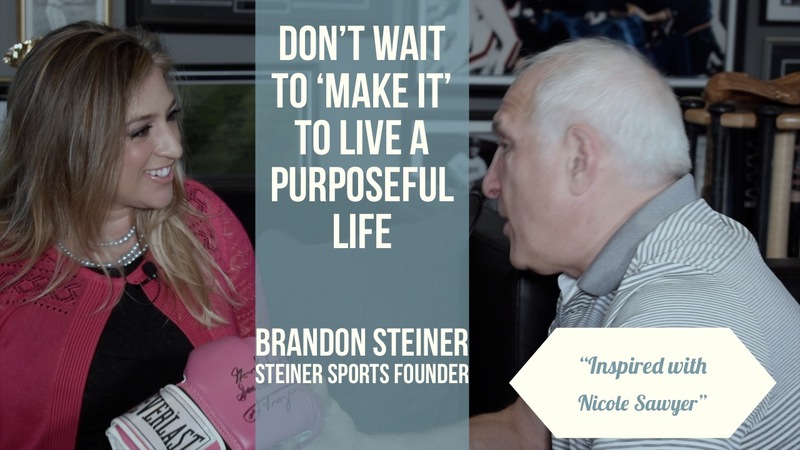 Brandon Steiner is a self-made entrepreneur in every sense of the word – a poor kid from Brooklyn who used his street savvy to build a multi-million dollar sports marketing and memorabilia empire. 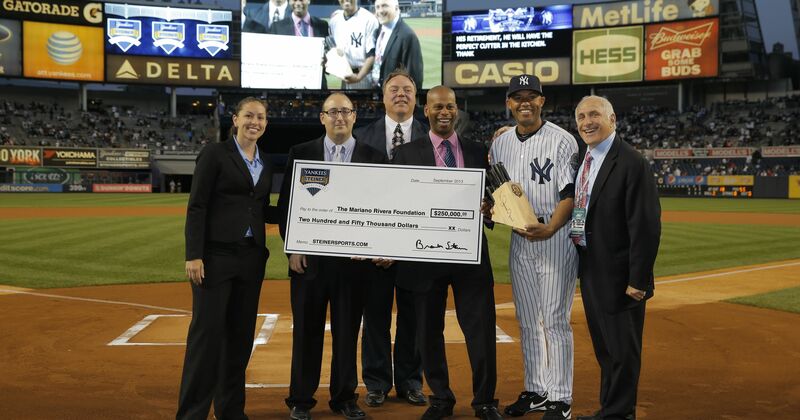 Steiner is well known for purchasing the old Yankee Stadium. He surprised everyone by turning what many saw as trash into a goldmine, selling lockers, bleachers, even the dirt. Throughout Steiner’s life, his ability to think outside the box helped him build his career — but in this interview, he demonstrates how it was the desire to help others that truly moved him from the sidelines to the spotlight. 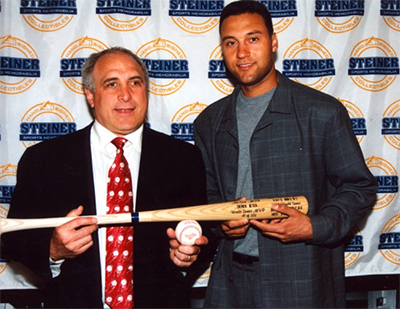 Back in the late eighties, Steiner spent his days helping athletes sort through fan mail, trying to find appearances. For instance, basketball player Larry Bird needed a Johnny Deere lawnmower, so Steiner got him a deal on the lawnmower. “Really look to help before you look to sell. 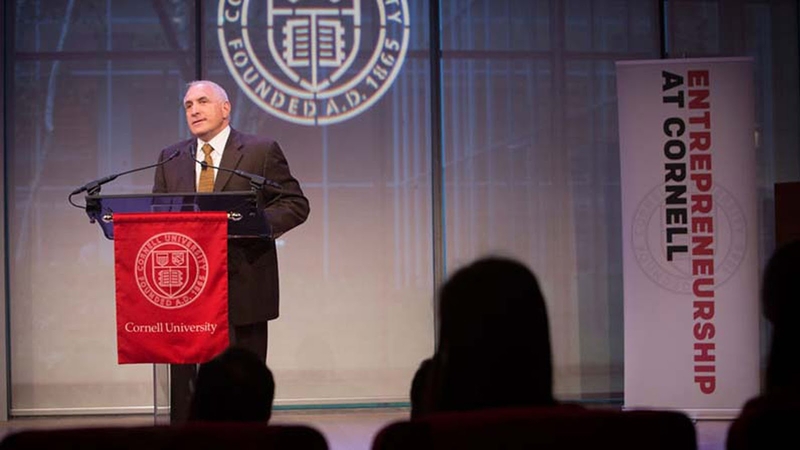 It is an incredibly valuable lesson and it’s paid huge dividends,” he says. But on his journey to the top, Steiner’s search for acceptance, fame and fortune cost him dearly. Steiner says a lot of people getting ready to retire are struggling as they realize making money is only a part of success. The premise of his book is to help people understand if you rush through life, you miss the purpose of living. Steiner acknowledges the secret to success isn’t about short-cuts, if you want to achieve extraordinary things, it requires extraordinary efforts. However, this lesson of taking care of yourself, getting enough sleep, eating well and doing good on a daily basis will help you in your career. Brandon also points out, you don’t have to wait to be wealthy to give back. Steiner believes however, it’s just the opposite, “You do good and as a byproduct of doing good, you do well. And that’s the real joy of doing well is by the good you do as well,” he explains. Nicole Sawyer is an award-winning multi-platform journalist, masterful businesswoman and innovative thinker. Her exceptional story telling has aired across several major television networks as well as digital and print publications. Nicole has extensive background in business and a knack for turning ideas into tangible results. She has created original digital series for ABC News and produced for award winning shows 20/20, Nightline, World News, Good Morning America, CNBC’s “Squawk Box” and was a founding member of The FOX Business Network, News Corp’s financial news network, where she launched and developed several of the network’s prime time shows. For over a decade Nicole has written stories focused on business, innovation, travel and wellness. She’s arranged interviews with some of the most influential people in the world, including Pope Francis, HRH Princess Lamia Al Saud of Saudi Arabia, Jeff Bezos, Deepak Chopra and fashion icons Michael Kors and Diane Von Furstenberg. Nicole is a two-time Edward R. Murrow award recipient. She currently serves as Programming Director for Bloomberg Live and hosts the TV Program Inspired with Nicole Sawyer which airs on ReachMe TV, a multi-platform network that has reach to 100 million total viewers in hotels, airports and retail stores.